Summer Travels and Sagging Middles | Shannon Winslow's "Jane Austen Says…"
Don’t you love the title? Once it came to me, I had to go with it. With a lead in like that, I should either show you my gorgeous summer tan or maybe my sagging middle. But my tan is not that impressive and my sagging middle is… Well, we’ll get to that later. Let’s focus on Jane Austen first, specifically her travels – summer or otherwise. Jane Austen actually got around a little more than you might think. She lived in Steventon, Hampshire, in Bath, in Southhampton, and finally at Chawton. She went to boarding school in Oxford and Southhampton as a child. She visited friends and family in places like Kent, Ibthorpe, Bath, Winchester, Clifton, and Adlestrop. She made it to London several times for business and pleasure. And she vacationed with her family in seaside resort towns such as Sidmouth, Colyton, and Lyme Regis. Not bad, and a bonus for us is that she wrote a lot of letters when she was away (or when her sister was), and many of those letters survived and are available for us to read! But my guess is she would have liked to travel more if she’d had the means. The same is true for my husband and me, although the limiting factor for us has been time as much as money. Like everybody else, we were busy with careers, kids, and keeping up at home. Even after our sons were grown and I quit my “day job,” my husband was still working, time and overtime, for a few more years. Now, that’s changed. This was the first summer we were more free to go and do. So, go we did! Nothing grand this year. Like Jane Austen, no world tours (although technically we did go “abroad” – to Canada). Just stuff in neighboring states and across the border to British Columbia. When our son asked us to go with his family to Silverwood (an amusement park in Idaho), we said “Sure!” When I was invited to a Jane Austen festival at Port Alberni on Vancouver Island, I said “Count me in!” When my husband told me he wanted to visit relatives in Kalispell, Montana, I said, “Why not?” When I suggested zipping down to Salem, Oregon to see the total eclipse, we just took off and went! The only downside to all this coming and going is that I haven’t been able to get as much writing done as I would have otherwise, and that’s where the “sagging middle” comes in. No, it’s not a comment on my middle-aged figure. It’s a writing term. Some novels get off to a roaring start, end with a bang, but have a long, comparatively dull stretch in the middle, where nothing very exciting happens. This can be deadly, putting you at risk for losing the readers’ interest. I’ve never struggled with that particular problem before. (If I’ve been criticized for pace, it’s been for slow starts instead!) Since I’m not really a plotter, I haven’t necessarily planned it, but something dramatic always seems to come along in the story about then – a death, a surprising revelation, a major plot twist, etc. So no sagging middles in the past, but I was a little worried this time. As some of you know, I’ve been working on a book called The Ladies of Rosings Park, which basically tells Lady Catherine’s and Anne de Bourgh’s stories in three parts. The first section, which I zipped right through and thoroughly enjoyed writing, is what takes place from their perspectives during the timeline of Pride and Prejudice. The last part, which I don’t expect to be too difficult either, will overlay the action of my P&P sequel The Darcys of Pemberley, again, from the Rosings Park ladies’ points of view. The middle, the place I got stuck this summer, is what happens in between – the several months after the end of Jane Austen’s novel and before the beginning of my sequel. I knew basically what had to take place. Still, I was struggling with lack of time and inspiration for how to write it. Since we were gone so much, it was difficult to keep any momentum going in the story line. And I began to worry I might have a sagging middle on my hands! I wish I could give my fellow writers a brilliant solution from my experience – how I overcame the difficulty. I think it was mostly plain old perseverance, though. In any case, I’m happy to report that I successfully got through and am on to section three. But what of that sagging middle I was worried about? Is it going to be a tough slog for readers when they get there? No, I don’t think so. I was forgetting that this whole section will be entirely unexplored territory for most, with lots of new action and revelations. What happens to Anne de Bourgh when Darcy marries Elizabeth instead? Is she devastated or relieved? As an heiress, even a sickly one, she must have other suitors. Who are they, and do any of them steal her heart? 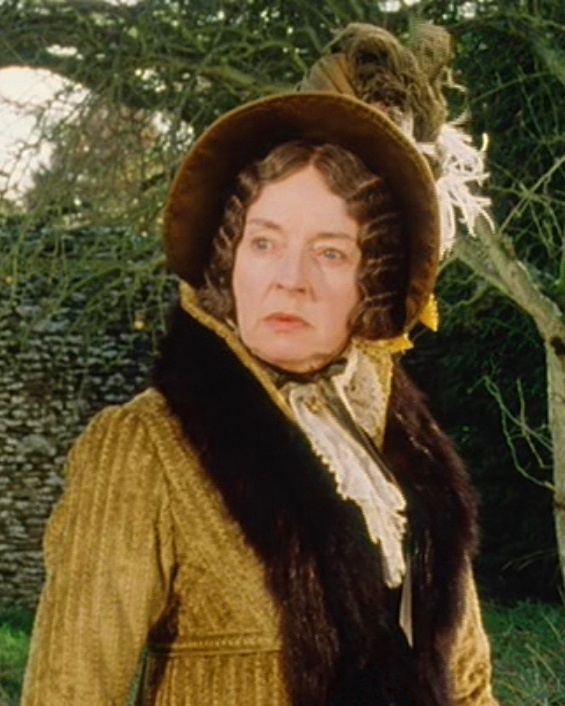 Does Lady Catherine accept the defeat of her original plan gracefully or keep conniving? What about Anne’s health? Does it ever improve? If so, how? And (what I think is a particularly intriguing question) what really happened to her father, Sir Lewis de Bourgh? He’s absent and presumably dead, but is that all there is to the story? So now I’m past the tricky middle and on the homeward stretch. Hopefully the ladies of Rosings Park (Lady Catherine, Anne, Charlotte Collins, and Mrs. Jenkinson) will be ready to tell their combined stories sometime early next spring! Did you experience some special summer travels this year? Share a snippet in comments below! Writers – have you ever struggled with a sagging middle, and how did you find your way out of it? Do you have a favorite passage about travel in one of Jane Austen’s letters or novels? This entry was posted in Jane Austen, Jane Austen Quotes, life, travel, Uncategorized, writing and tagged Jane Austen, Jane Austen quotes, Pride and Prejudice, sagging middles, sequels and variations, Shannon Winslow, summer travel, writing advice. Bookmark the permalink. Your upcoming book sounds wonderful. I love the title and premise too. I’ve always wanted to know what happened to Anne. No special summer travels this year, but I’m looking forward to celebrating my 23rd wedding anniversary coming up shortly. Thanks for stopping by and for your comment. Congratulations on your anniversary, and I’m pleased you’re looking forward to reading Anne’s story! Oh I love the sound of this one! I’m running behind on my reading this summer due to a family wedding and having the grandchildren. Just got back from California where I was visiting with my sister in Folsom along with my other sister and our cousin from N. Ireland. We hiked and kayaked several National Parks and I just got home late Thursday night to catch up on sleep! Had fun though. You certainly had a great summer too! Look forward to the chapters being posted in January! I’m behind on my writing; you’re behind on your reading! Haha! But all for good reasons, at least. Thanks for sharing your summer travels, Carole. I’d love to think I’m going to get to all the National Parks in my lifetime, but that may be more than I can accomplish. How about all the states and provinces? That might be a more achievable goal, and I’ll take in all the natural wonders I can along the way.